YEAR Fr. So. Jr. Sr.
1966: Lettered, Played in 2nd semester after graduating early from high school. 1968: Lettered, Starter, All Big 8, All-American, won gold medal in Olympics. 1969: Lettered, starter, Captain, All Big 8, All-American, eligibility ended at end of first semester. 1982 & 83: Assistant coach. Joseph Henry White was born on November 14th, 1946 in St. Louis. He was the youngest of seven White children. White acquired his nickname while attending McKinley High School. He had a tendency to doze off while Coach Jodie Bailey was giving chalk talk sessions. It always took two calls, “Jo”, “Jo”, to bring him to life. Jo Jo adjusted rapidly to Owens’ ball-control system, becoming the guard that coaches dream about – a staunch defender, devastating outside shooter, and able to break down the opposition. In short, he could do it all, and Kansas won its last seven games of the season, winning the Big Eight title outright and gaining entry to the NCAA tourney. As it turned out, Owens’ decision was somewhat of a mistake, as KU was jobbed in the regional final game against eventual champion Texas Western. White’s long jump shot at the buzzer appeared to give the Jayhawks an overtime victory. “I remember having the ball in my hands and taking that final shot. I fell back into a woman’s lap after the release, and I remember the crowd and my teammates celebrating after the shot went in. Then the official ruled that my foot was out of bounds.” Texas Western then went on to its historic 1966 championship win over Kentucky. 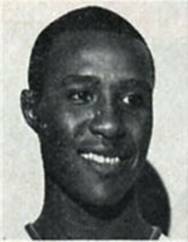 Jo Jo had only one semester of eligibility left heading into the 1969 season. Owens could have held him out during the first semester and used him only during the second semester, but that made no sense because of the way school terms broke in those days. The Jayhawks had 18 games scheduled during the first semester and only eight in the second semester. In his last game on February 1, he scored a career high 30 points in front of a sold-out crowd, which erupted with a thunderous roar as Owens removed him from the floor with 12 seconds left. 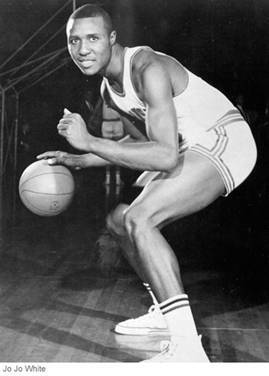 After graduating from KU in 1969 with a degree in physical education, White was a first round draft pick of the Boston Celtics, where he spent ten seasons. He was such a dynamic and gifted all-around athlete that the NFL Dallas Cowboys and the Cincinnati Reds also both drafted him. A member of the All- NBA Rookie Team in 1969-70, White was later a seven-time All-star and the Most Valuable Player in the 1976 playoffs when the Celtics defeated the Phoenix Suns for the NBA title. 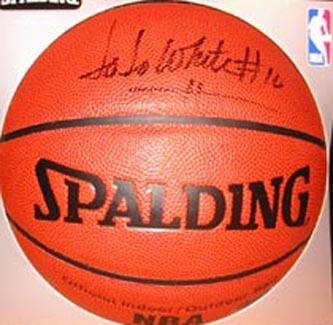 During his NBA career, White scored over 14,000 points averaging 17.2 points per game. In helping the Celtics to the playoffs six times, he averaged 21.5 points per game for 80 games. He is perhaps most famous for his role in, what many claim to be the ‘Greatest Game Ever Played’, the triple overtime victory over the Phoenix Suns in Game 5 of the 1976 NBA finals. He scored 33 points in over 60-minutes, catapulting the Celtics to its 13th NBA title, and garnering him the Finals MVP award. 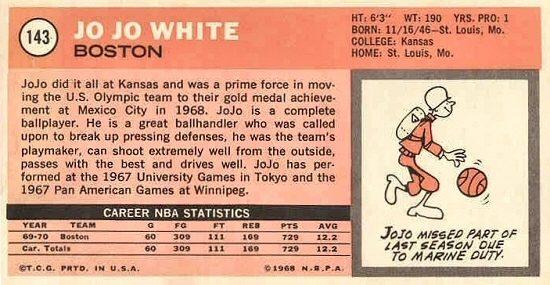 He was traded to the Golden State Warriors in 1979, and retired in 1981 with the Kansas City Kings. He returned to the Jayhawks as an assistant coach for the 1983 season. 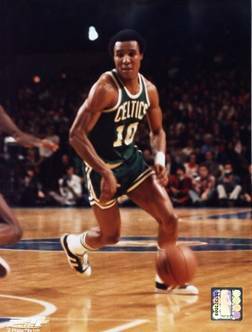 One of the greatest players in Celtic's history, White had his number 10 jersey retired by the Boston Celtics in a ceremony at Boston Garden on April 9, 1982. He remains in the Celtic organization as Director of Special Projects and Community Relations Representative. On a personal note, I was pursuing a graduate degree in business while Jo Jo was at KU, and while we didn’t have any classes together, I did have the opportunity to occasionally see him in Summerfield Hall. While KU has had its share of great guards over the years, I still rate him as the best of all time.